© Shivji Joshi. All rights reserved. 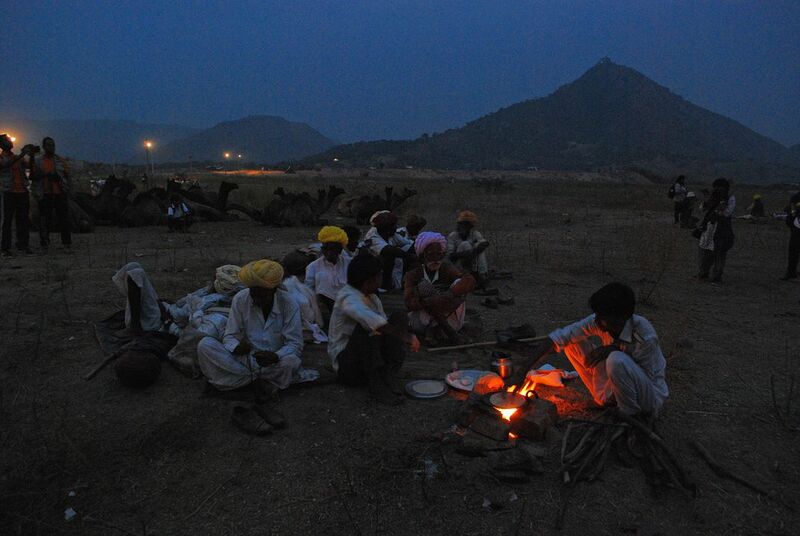 People are preparing food in late evening in open air kitchen in Pushkar Camel fair.Camel traders come here from distance to sell/purchase camels in Pushkar fair and stay here in open under sky for more than a week. Date Uploaded: Nov. 22, 2014, 12:33 p.m.